Desserts never fail to put a spark in my eye. It's easy to get me all excited. My friends know that very well. They are rather amused whenever they see my face light up when we're making dinner plans or simply discussing about that new cake or dessert place that I've discovered. I'm surprised by one thing though. As much as I love desserts, I cannot stand things that are too sweet. What do I mean? You know it's too sweet when you don't taste the chocolate in a supposedly chocolate cake, and when your lemon tart taste more like sugar tart. Sweet things charm me, as long as it's not too much. I prefer for it to be complementary. Take for example pineapple tarts. I love pineapple tarts but I like them slightly tart and not too sweet. I've tried some that have so much sugar that I can't really taste the pineapple. That's probably why I've never been an ardent fan of candy floss/cotton candy. Cute they may be but I avoid them most of the time. To me, it's no different from eating pure sugar. I have a mental image of me with my entire fist in a jar of sugar. Not very nice indeed. Perhaps I'm not a kid anymore? I realise that I have a higher tolerance for bitter stuff these days. I have my espresso sans sugar, I eat pure cocoa nibs without ever flinching. 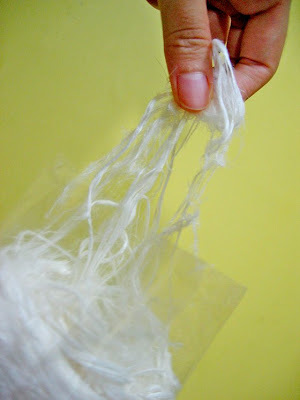 Yea floss with threads so fine you can't call them candy floss anymore. 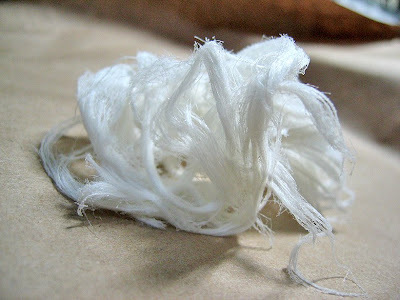 And they don't quite feel like cotton too. Some people thought them so magical that they named it fairy floss. 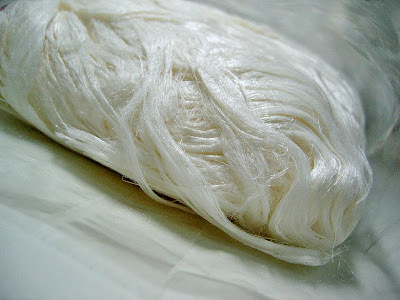 It is somewhat like that Chinese thread-like sweet snack also known as dragon beard. Fairy floss is however, much lighter than dragon beard. 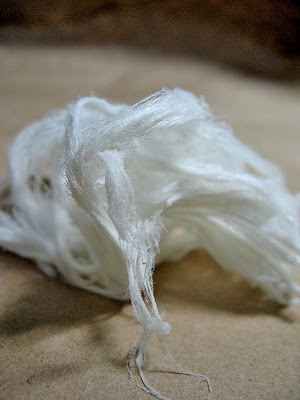 More delicate, more wispy. It disappears fast too. It's easy to be so caught up with the subtle lightness that you might just finish the whole pack before you know it. Apparently you can find it at Jone's the Grocer up on Dempsey Road. 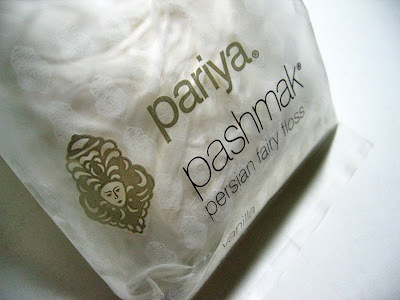 Just look out for Pariya Pashmak Persian Fairy Floss. The one I tried was vanilla flavoured. I read that there's chocolate and pistachio too. How exciting. I might have to get more, once this stash disappears. I was curious as to how fairy floss was made and I googled it. Didn't get a definite answer but it might be made using icing sugar instead of sugar crystals - thus the lighter mouthfeel? 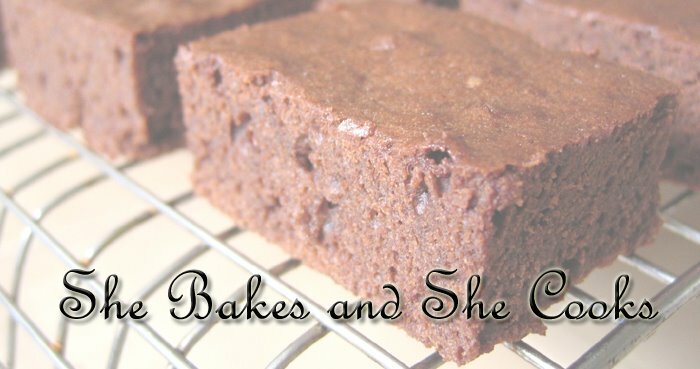 These are great for decorating desserts as well. and ethereal at the same time. ohmigosh, that looks so mystical...thanks for posting this up! how much does it cost u per packet? i wonder where i can get it in kl...buying online from their website + shipping cost a bomb! Yes, I saw them at Jones. Will pick them up next time. I thought they were more for decorating. Got some from Jones tonight. They are out of rose and Vanilla. Cost $18.50 per pack. In Turkey these are called Pis(h)maniye. You can get them in boxes (about 12-15 individual servings). They melt in your mouth! In the US they can be found in turkish stores and I believe the most famous brand is Koska. I wish I could find it here, so much nicer than cotton candy! I grew up in Canada but my parents are from Iran (thus persian) and this was their candy growing up. I remember the first time I saw it I screamed. I was 5. I thought it was the beard of an old man stuffed into a box.